Beginning Monday, August 18, ViaSat Inc. (NASDAQ: VSAT) will offer Exede® high-speed satellite Internet plans that provide households in select locations across the country with virtually unlimited data usage for communications, web browsing, and streaming media. The new “Freedom” plan will be initially offered along portions of the Eastern Seaboard and the Gulf Coast; select counties in California, Arizona, and Minnesota; and across most of Alaska, Hawaii, and Florida. Virtually unlimited satellite Internet service (providing at least 150 GBs of monthly data without a strict data allowance) is another notable first for ViaSat. Its Exede Internet consumer service, powered by the world’s highest capacity communications satellite ViaSat-1, was the first high-speed satellite service to reach a significant portion of the U.S., including rural and remote areas that had historically limited Internet options. With the recent growth in household data usage, especially for streaming services, ViaSat is again leading the industry in addressing customers’ needs for higher data volumes with its Freedom plan. With download speeds of up to 12 Mbps, the Exede service has transformed satellite Internet for households that previously had slow, inadequate Internet service. ViaSat also offers Exede Voice residential telephone service over its network, optimized for quality and reliability. In 2014, the company introduced Exede Business, a 15 Mbps service that includes a generous data allowance and 24 x 7 U.S.-based customer support. In addition to the Freedom plan,other Exede plans debuting August 18 across a large area of the country will offer double or triple current data allowances. These expanded data allowances are available for Exede Evolution, a plan introduced late last year that offers unlimited e-mail and web page access. ViaSat has also announced plans for another groundbreaking satellite, ViaSat-2, now in development. Its launch, planned for 2016, is expected to facilitate a significant expansion of Exede services, capacity, speed, and coverage areas. 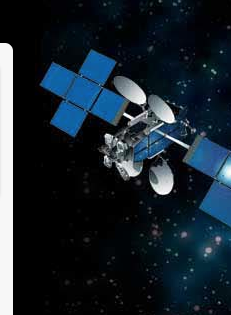 Learn more about Exede and ViaSat here. ViaSat creates satellite and other wireless networking systems that efficiently deliver the most bandwidth for fast, secure, and high-quality communications to any location for consumers, governments, enterprises, and the military. The company offers Exede services in North America, which feature ViaSat-1, the world’s highest capacity satellite; worldwide mobile satellite services, including global tracking and messaging as well as high-speed in-flight Internet; satellite broadband networking systems; and network-centric military communication systems and cybersecurity for the U.S. and allied governments. ViaSat also offers communication system design and a number of complementary products and technologies. Based in Carlsbad, California, ViaSat employs over 3,300 people in a number of locations worldwide for technology development, customer service, and network operations.